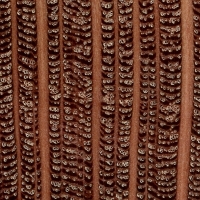 Color/Appearance: Heartwood color ranges from a pale pink to darker reddish brown. 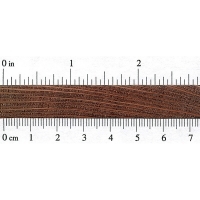 Very large rays exhibit a lacewood-like effect when quartersawn. Color tends to darken with age. 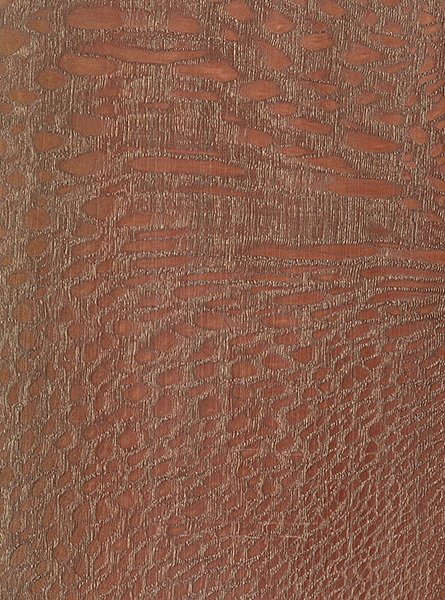 Grain/Texture: Has a fairly coarse texture. 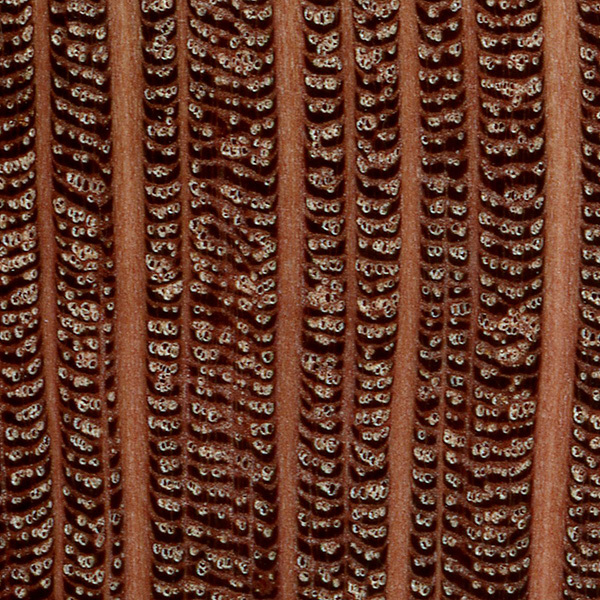 Endgrain: Diffuse-porous; medium pores in tangential rows; solitary and tangential multiples of 2-3; deposits in heartwood occasionally present; growth rings indistinct; very wide rays easily visible without lens; parenchyma banded, diffuse-in-aggregates. Workability: Can be difficult to work with machine tools, causing tearout during planing. Difficult to dry, with turned pieces developing numerous checks unless dry wood is used. Glues, turns, and finishes well. Allergies/Toxicity: Although there have been no adverse health effects reported for Macadamia Nut, several other genera in the Proteaceae family have been reported to cause eye and skin irritation. See the articles Wood Allergies and Toxicity and Wood Dust Safety for more information. Pricing/Availability: Like most other nut woods, Macadamia Nut trees are prized much more for their production of nuts than for their lumber. Supplies are likely to be limited, with prices high for an imported wood. Common Uses: Knife scales, decorative boxes, bowls, and other small specialty wood objects. 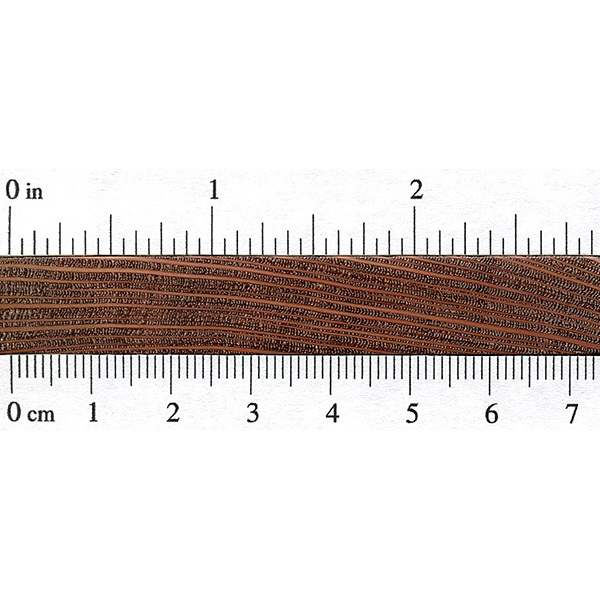 Comments: Both literally and figuratively, this hardwood perhaps lives under the shadow of its nut-bearing branches, with Macadamia being a name associated with food, and not lumber. 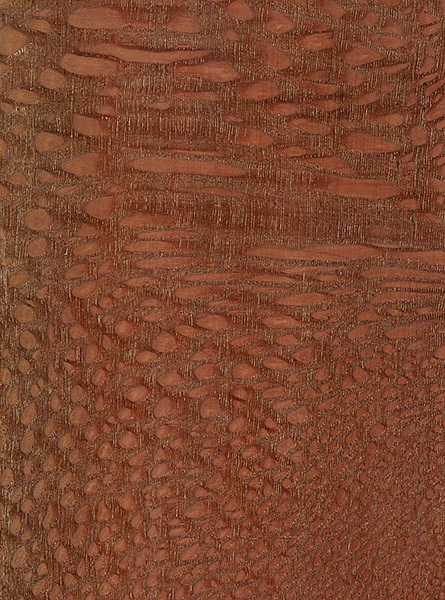 However, the lacewood-like timber that the tree yields is highly decorative, and perfectly suited for smaller specialty projects. Macadamia Nut is in the Proteaceae family, making it a true lacewood relative, which also includes Silky Oak and Leopardwood.